Corporate Social Responsibility – is it possible for SMEs? During a discussion with one of our Business Village tenants recently, we asked why they had chosen the bank they held their personal account with. “Their ethical policy,” was the immediate answer. Why then, had they chosen a different bank for their business account? “Free banking! I needed that extra bit of help when starting up.” This shows how being socially responsible can help a business to gain customers. It also demonstrates that it isn’t always the deciding factor when it comes to consumer choice. Why then is Corporate Social Responsibility (CSR) such a big issue? Can you afford to be socially responsible as an SME? Most big corporations have established programmes designed to ‘give back’ to communities, or to support specific causes. The results can be very positive for both the recipients and the company themselves. Surely though, for large corporations, such as McDonalds, Coca Cola, HSBC, etc. 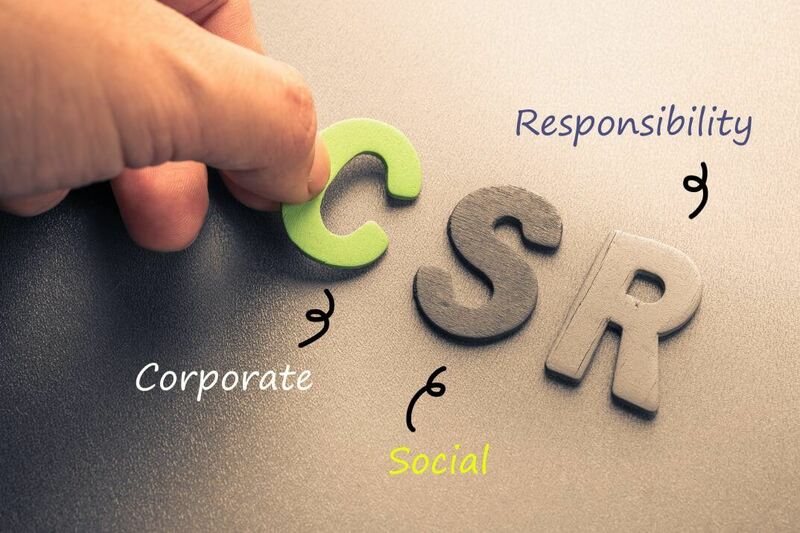 it’s easy to implement CSR into the business strategy. After all, they achieve millions in revenue. A cynic might suggest that CSR is just part of their marketing plan and nothing more. But, if these huge corporates take the approach that CSR equals good PR, they gain in terms of publicity and public perception. Charities and communities gain; so do the businesses. Less cynically, there are many companies now striving to do good, alongside doing well for their shareholders. Lego has a ‘Positive Impact Promise’ where they pledge to make a global difference to children, the environment and through their ethical business practices. Having a clear ethical policy is a good start when it comes to CSR. Setting out the standards that you will do business by assures your customers and helps to generate trust. It goes deeper than that though; it’s not enough to just say you’ll be fair and responsible – you need clear examples to prove it. For SMEs, the business plan is filled with detailed calculations for everything; suppliers, banking, operational costs, and so on. It may seem like there isn’t room for a CSR policy; never mind the money to fund one. But, whilst Corporate Social Responsibility doesn’t need to have a huge budget allocation, it is a worthwhile item to include in your financial planning. For a local business, there are many opportunities to demonstrate CSR, without breaking the bank. Basic policies around sustainability are easy to implement – recycling of waste, donating unwanted equipment, responsible sourcing and reducing the business’s carbon footprint are some examples. Another resource you can use to make a difference is your people. For instance, giving your, or employees’ time for an hour to join in with a community clean-up campaign, sponsoring a flower bed by planting and maintaining it, or taking part in community galas and events. These activities make a big difference to people’s lives AND can easily raise the profile of a local business with potential customers. As a successful entrepreneur, with a growing business, you are also well-placed to help others who are looking to follow in your footsteps. Business mentoring is a great way to pay it forward. You could even take your expertise into schools and participate in schemes such as I Know I Can, or the Primary School Enterprise Challenge. As a business, there are also high-profile events to take part in, such as Children in Need and Comic Relief. These national events are prominent brands in their own right and give you the chance to allow employees to engage in a bit of silliness or sponsored activities, all in the name of charity! If you fancy organising your own fundraising event, some charities will help you with branded resources. Macmillan will send you a fundraising pack to assist with a coffee morning, whilst the NSPCC and other charities have a resource section on their website with printable posters, sponsor forms and other information to help make your event a success. If you can afford to spare a few hundred pounds, you could sponsor a community sports team, or community facility. Having your business name printed on the shirts of a team of ten-year-old footballers helps the team to afford a decent kit AND introduces your business to their families and those of every opposing team they play. It then reinforces the message, week in, week out for an entire season – you’re a business that gives back. Businesses live and die by their reputation. Enhancing your business’s profile with an element of philanthropy is a great way to show what sort of people are behind it. In addition, being transparent and publishing your policy for responsible business practices gives a clear indication of social responsibility. This is something that even small businesses can do. It may take a little longer to vet suppliers, or source materials but it sends a message to your customers. Being a responsible business helps you to stand out from the crowd. Trust makes a huge difference and what better way to generate trust than to show you’re a business that likes to give back, or makes sure they do things right? For some businesses, giving employees time off to participate in philanthropic activities is part of their culture. These businesses attract better applicants, who see that they view CSR as a way of enhancing the employee experience too. Whilst it isn’t usually feasible for a small business to allow lengthy periods away, it’s possible to allow employees time for community responsibilities, such as school governorships, mentoring or activities such as clean-ups, etc. as mentioned above. When a group activity or fundraising event is undertaken it can help with team building and staff morale. Your employees will see that you value them, not only in terms of what they can do for the business, but as individuals. The skills and experience gained from these activities can directly benefit your business too. A good news story about how you helped the community could also help to inspire others to adopt CSR and that’s a very good thing too. Can you afford NOT to be socially responsible as an SME? Here are some examples of corporate policies that may inspire or direct your own business policies.